VIP Platinum Registration allows the Forum to promote the most important participants in a visible manner. It implies the payment of the related Registration fee. All technical, identification, simultaneous translation and operating services etc. 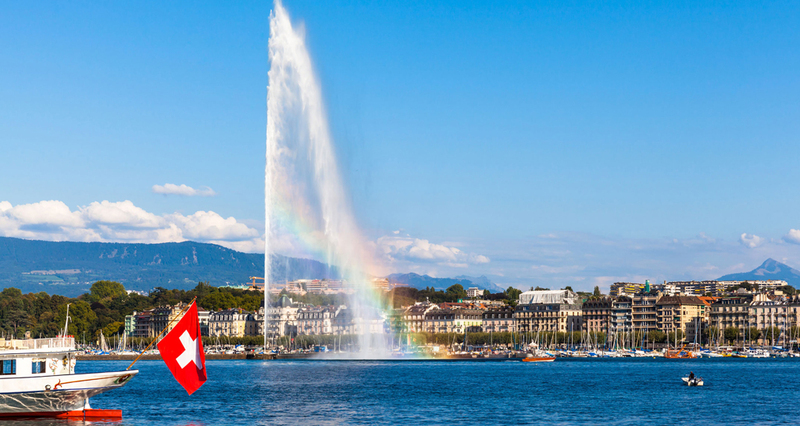 The Forum will be held at the Grand Hôtel Kempinski, Geneva (Switzerland) from Wednesday October 24 to Saturday October 27, 2018. Payment by credit card is a legally binding commitment in respect of the amounts and conditions as stated on the Registration form. Choices selected on the Registration form entitle the Participant to the related services and he commits himself not to dispute his signature, give contrary instructions or any request for cancellation to the Company that issued the credit card. Participants requiring a Visa to enter Switzerland are invited to contact the competent services in Switzerland as soon as possible. Getting a Visa takes a long time ! So far, we strongly advise you to start the process immediately.. The Forum sessions will be simultaneously translated in English and French. The Crans Montana Forum reserves the right to modify the dates, location and Program content of the Forum if nonscheduled & exceptional circumstances beyond its control require to do so. The Program cannot be considered as contractual. It is definitely agreed that any relation and/or agreement between the Crans Montana Forum and its Participants, Partners and Sponsors is governed by and construed in accordance with the laws of the Swiss Confederation. Any dispute arising shall be settled before the competent Court in Sion (Valais-Switzerland) in accordance with the Swiss laws. In the framework of your participation, the Crans Montana Forum uses your personal identification data to proceed with your Registration. Only your Name, First Name, Function, Organization and Country of origin will be featured in the related event's "List of Participants" published on our website and printed to be provided to other participants. Our commitment is that we shall never transmit your data, without your consent, to third parties not directly involved in managing your registration and participation. The Crans Montana Forum is an Institution and you can be assured that your personal data cannot be sold in any case for any kind of purpose ! It is the sole responsibility of the Participants, spouse and accompanying person to subscribe directly and at their own expense an insurance against illness, accident or injuries occurring before, throughout and after the Forum. The Crans Montana Forum cannot be considered as a tour operator nor a travel agency nor a travel organizer. The Forum has no responsibilities of any kind and cannot be held accountable in any domain (health, accidents, security and people’s safety) during national and international flights, ground transportation and stay in Switzerland, and all direct and indirect activities during the stay in Switzerland. As a major condition of the acceptation of their Registration, Participants commit themselves to comply with the Forum's mission : offering to key representatives of the civil and official societies an informal platform allowing encounters and the sharing of knowledge and experience. Participants are not authorised to use the Forum's trademark, publications, image or their relationship with the Forum's Representatives to engage in any deals or business outside of the regular scope of the Forum activities. The Forum's role is limited, very strictly, with the sole provision of a platform for informal exchanges open to persons of good faith. If it happens that any kind of Business takes place between some Participants, by definition such a process will be conducted independently and the Crans Montana Forum's responsibility cannot, in any case be engaged, directly or indirectly. Participants declare that they have full knowledge and agree to scrupulously respect all national and international legal standards on good business practices, in particular those defined by the OECD regarding the bribery of Public Officials and the regulations of the United States of America and United Kingdom concerning the safeguarding of foreign Civil Servants' integrity. No refund will be made for cancellation. Should I be unable to attend the Forum, I will propose a Representative I have read and fully agree to all the registration terms and conditions.